Orlando, Fl. 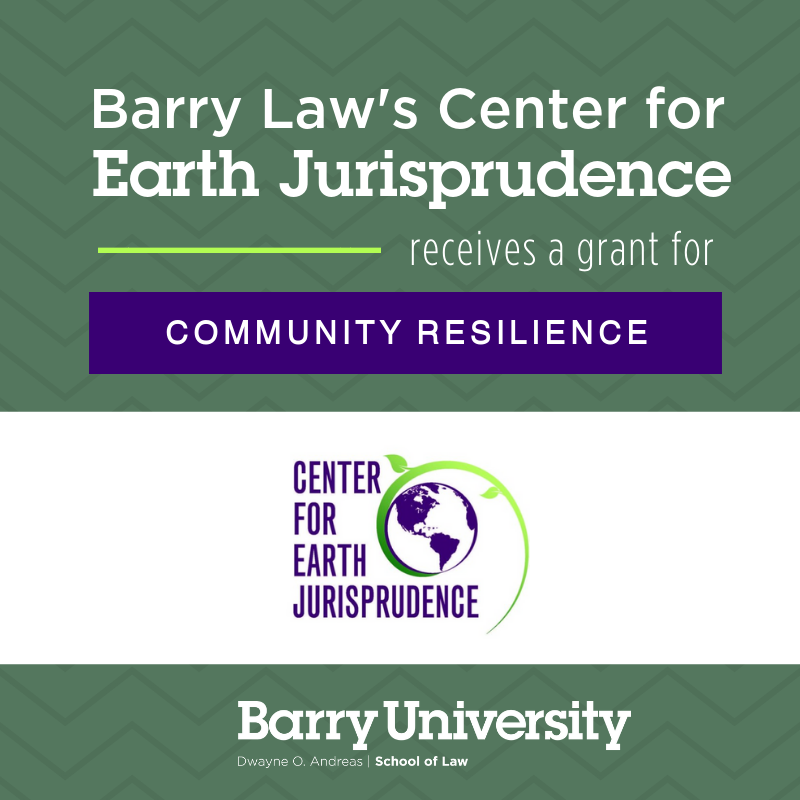 (Dec. 11, 2018) – The Barry University School of Law’s Center for Earth Jurisprudence (CEJ) received a grant of nearly $300,000 from the Southeast Sustainability Director’s Network (SSDN) to promote community resilience. 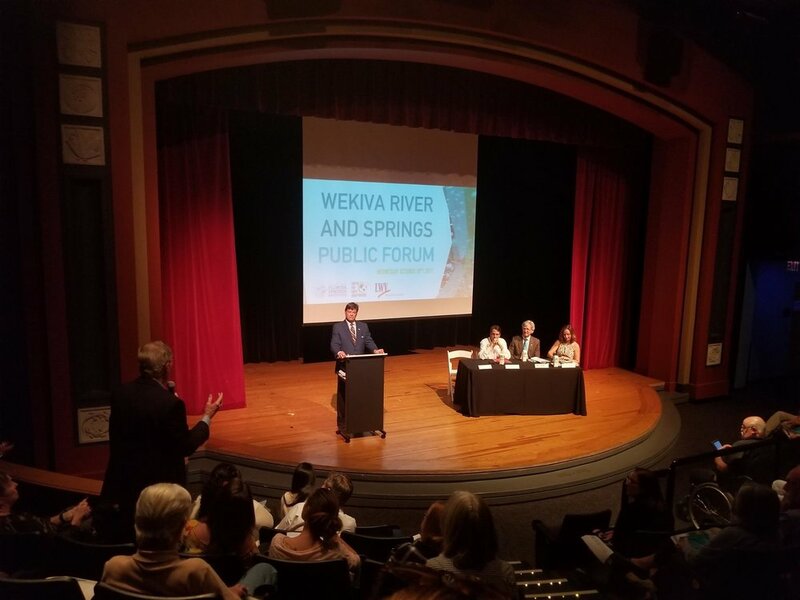 In a partnership with the Green Volusia Program, CEJ was awarded the grant of $299,600 over two years through the Southeast Sustainable Communities Fund. According to the SSDN, the fund is an attempt to accelerate the adoption of sustainable best practices in Southeast communities. These practices include: mitigating and/or adapting to climate change; fostering equity and inclusiveness; leveraging community partnerships; strengthening local government commitment; and demonstrating innovation and scalable solutions. CEJ is part of Barry Law’s Center for Advanced Study of Environmental and Earth Law, which is a leader in environmental law. Through the Center, Barry offers students a comprehensive array of environmental programs, including the Environmental and Earth Law Clinic, the Environmental and Earth Law Certificate Program, the Environmental and Earth Law Journal, multiple student organizations, and the Environmental Responsibility Committee. The Southeast Sustainability Director’s Network is a consortium of sustainability officials representing more than 50 local government officials in the Southeastern U.S. Its mission is to build capacity for community sustainability in the Southeast. The Southeast Sustainable Communities Fund is a partnership between The Kendeda Fund and The Kresge Foundation and the Southeast Sustainability Directors Network. Established in 1999, the Barry University Dwayne O. Andreas School of Law in Orlando offers a quality legal education in a caring, diverse environment. A Catholic-oriented institution, Barry Law School challenges students to accept intellectual, personal, ethical, spiritual, and social responsibilities, and commits itself to assuring an atmosphere of religious freedom. Barry University School of Law is fully accredited by the Council of the Section of Legal Education and Admissions to the Bar of the American Bar Association, 321 North Clark Street Chicago, IL 60654, (312) 988-6738. The Center for Earth Jurisprudence furthers the mission of Barry University by extending respect, protection, and legal consideration to all beings that constitute the natural world; this includes consideration of the rights of future generations. Their work is based on the concepts that: 1) humans are an integral part of nature; 2) we have a fundamental responsibility to protect the long-term health of nature; and 3) our current legal systems fail to recognize nature's rights to exist and flourish. CEJ recognized #IndigenousPeoplesDay with a discussion on social justice and how it intersects with environmental advocacy. Front-line communities and people of the global majority are disproportionately affected by environmental degradation, so it is important that we take these opportunities to not only acknowledge this, but work towards solutions resulting in a more equitable world. We were joined by Barry University School of Law’s Nadia B. Ahmad. Professor Ahmad’s research explores the intersections of energy siting, the environment, and sustainable development and draws on international investment law and corporate social responsibility. She has published over 30 scholarly articles and book chapters. In 2016, she was recognized by the Orlando Business Journal as a 40 Under 40 honoree for her leadership and community involvement. In 1991 at the First National People of Color Environmental Leadership Summit, Dorceta Taylor, an environmental sociologist known for her work on both environmental justice and racism in the environmental movement, proposed the Principles of Environmental Justice (pictured below). In these 17 principles she identified 25 different issues, including protection from contamination and polluting industries, environmental policy based on mutual respect, and demands for numerous rights and other capabilities: equal participation, self-determination, ethical and sustainable land use, a healthy community and work environment, and social and environmental education. These original principles explicitly identified indigenous issues, such as treaty responsibilities and relationships between culture and nature. Please follow the Center for Earth Jurisprudence for more discussions with local experts on issues affecting our relationship with Mother Earth and our fellow members of the Earth community. CEJ is looking for an Associate Director to help advance laws, policies, and governance systems aimed to legally protect the sustainability of life and health on Earth. The Center for Earth Jurisprudence (CEJ) is the only Center situated within a U.S. law school fully dedicated to the advancement of legal consideration of the inherent rights of nature and the inclusion of Earth Jurisprudence courses within the law school curriculum. The Associate Director will primarily assist the Director in the design, implementation, and management of multiple aspects of the Center including research and publications, programming, public presence, enhancement of visibility and social media presence, and resource acquisition. The Associate Director will be joining CEJ at a time of renewed vision and commitment in addressing legal, cultural, and ethical responses to the increasing global impacts of climate change and vast ecological and human suffering. For more information and to submit your application for consideration, please visit CEJ Associate Director Search. 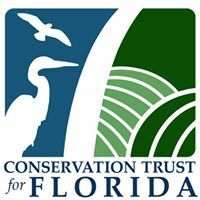 With equal sadness and excitement, CEJ would like to announce our current Director, Traci Deen, is transitioning into a new role as Executive Director of the Conservation Trust for Florida. There, she will be overseeing state-wide land conservation efforts to protect Florida’s wild and working lands. Please join us in congratulating her as she enters this new and exciting chapter! Margaret Stewart, CEJ’s Associate Director, has accepted a promotion to serve as CEJ’s Director. She has been with CEJ since early 2016, has her J.D., her LL.M, and a Masters in Public Administration with an emphasis in Nonprofit Management. 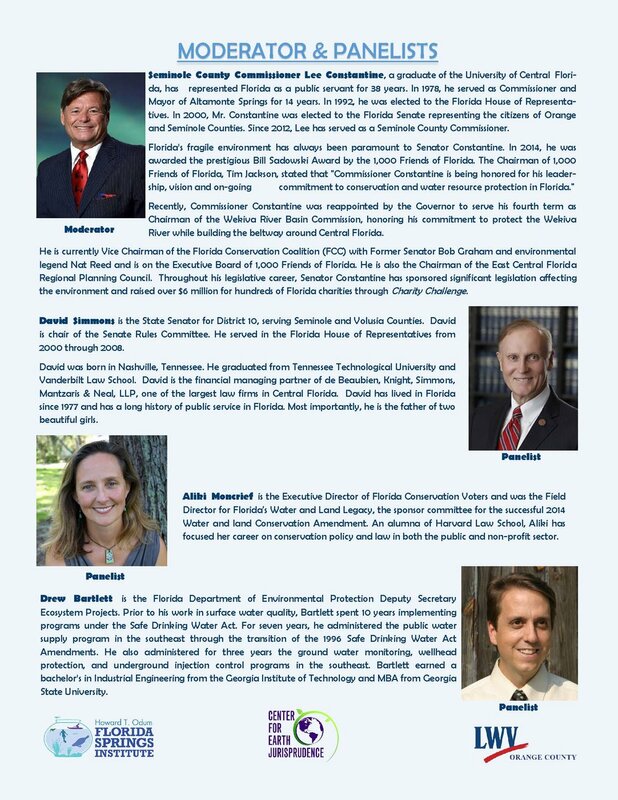 She currently serves on the Executive Committee and as Legal Chair for the Florida Springs Council. She is on the Board of the Orange County League of Women Voters and serves as the Natural Resources Chair. 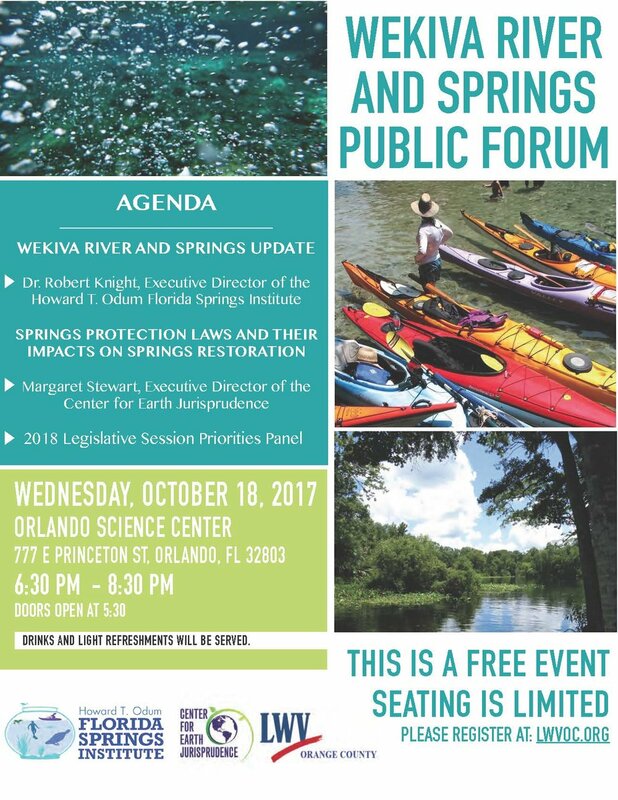 She’s a member of the Florida Bar, the Central Florida Women Lawyers Association, the Orange County Bar Association, and is a member of the Environmental & Land Use Law and Public Interest Law sections of the Florida Bar. In her time at CEJ, she has created educational forums throughout the United States and abroad, worked with the team in the generation of strategic partnerships, assisted with CEJ communications, including social and print media, and oversaw the well-being of the Center in many ways. Margaret is responsible for the identification and application of grants and other fundraising initiatives that have supported the Center’s continued work. She also serves as the key Advisor to three law students that work with the Center as Earth Law & Policy Fellows. While in law school herself, Margaret earned her Environmental & Earth Law Honors Certificate, served as Secretary of the Environmental Law Society, Senior Editor of the Environmental & Earth Law Journal, and worked two semesters in the Environmental and Earth Law Clinic. There, her research focused mainly on the Public Trust Doctrine’s application in Florida and issues regarding fracking. She was awarded the Charles A. Modica Student Mentor Award in recognition for her care and compassion on mentoring fellow students, an acknowledgment she takes great pride in. As an Honors Board member of the Moot Court team, Margaret argued in the Pace National Environmental Law Moot Court Competition, advancing to the semifinals in 2015. We have no doubt that she will excel in this role, and will continue to bring her passion for environmental protection to the table as she leads the CEJ team. We will be hiring an Associate Director to fill her position in the near future. We are confident that CEJ will remain strong and healthy as we transition into our new roles, due in no small part to our Advisory Board, our incredible staff, and the support of Barry University. Earth Law and Policy Fellowship! CEJ is looking for motivated and enthusiastic Barry Law students to work with us this semester! Application Deadline: August 21, 2017. The Center for Earth Jurisprudence is seeking a Staff Attorney to assist in legal and legislative matters on a contractual, as-needed basis. Physical Office: 6441 East Colonial Drive, Orlando FL 32807. Position mostly remote. Admission to the Florida Bar required. Three to five years of experience (minimum) in litigation, appellate, or legislative advocacy; public policy formation; demonstration of ability to distinguish between environmental law and Earth Jurisprudence; understanding how social movements are generated and maintained; love and respect for natural environment; comprehensive knowledge of environmental and earth law theories, concepts and practices and ability to use in complex, difficult and/or unprecedented situations. Drafting legal memoranda, administrative comments, legal briefs, proposed legislation, and legal strategies that advance CEJ’s adopted positions. Assist the CEJ Team in developing a template for strategic legal initiatives for the Center to increase the legal protection of nature. Identify and collaborate with environmental and legal partners in increasing legislative and community awareness and support to enhance greater legal protection of ecosystems, both local and national. CEJ is the only Center within a U.S. law school dedicated to advancing laws, policy, and governance designed to protect the natural systems, species, and entities that sustain life on Earth through the use of Earth Law principles. Our work is based upon the concept that humanity has a basic responsibility to care for and protect the long-term health and well-being of Earth, meaning all beings and ecosystems that constitute the natural world, recognizing that humanity is an integral and interdependent part of nature. Earth Jurisprudence is an emerging field of law that encompasses both environmental ethics and legal practice. In the past 10 years CEJ has advanced its outreach, programming and visibility significantly. CEJ’s Director attended the International Union for Conservation of Nature (IUCN) World Conservation Congress as an advocate for Earth Law and Policy. This quadrennial event is attended by global leaders and high-ranking government officials, nonprofit organizations, scientists, academics, artists, business leaders, and indigenous representatives from all over the world. At the opening ceremonies on September 1, 2016, IUCN President Zhang Xinsheng announced that over 9,000 participants from 190+ countries attended the Congress this year--a truly global and diverse gathering. Traci Deen was selected to serve on the IUCN Junior Research Task Force throughout the Congress and invited to speak at the Emerging Leaders in Environmental Law event hosted by the World Commission on Environmental Law and the William S. Richardson School of Law at University of Hawaii. What is the IUCN World Conservation Congress? The International Union for Conservation of Nature is a membership Union, uniquely composed of both government and civil society organizations. It provides public, private, and non-governmental organizations with the knowledge and tools that enable human progress, economic development and nature conservation to take place together. Its members derive from 161 countries, 217 state and government agencies, 1066 non-governmental organizations, and approximately 16,000 experts on the state of the world’s natural resources. IUCN meets every four years at the IUCN World Conservation Congress to set priorities and agree on the Union’s work programme. IUCN congresses have produced several key international environmental agreements including the Convention on Biological Diversity (CBD), the Convention on International Trade in Endangered Species (CITES), the World Heritage Convention, and the Ramsar Convention on wetlands. This year marked the first time the Congress was held in the United States. IUCN President Xinsheng stated the this year's Congress was "about moving 2015's historic global agreements into action." CEJ, along with other members of the Global Alliance for the Rights of Nature, advocated at the Congress that the implementation of Resolution 100 into the 2017-2020 Work Programme would encourage the necessary shift from an anthropocentric to an Earth-centered worldview and ethic, particularly in Environmental Law and Policy. This shift would help fulfill goals for sustainable development and achieving climate neutrality. Four years ago at the 2014 Congress, IUCN members recognized nature’s rights by passing Resolution 100, “Incorporation of the Rights of Nature as the organizational focal point in IUCN’s decision making.” This Resolution called for nature’s rights to be a “fundamental and absolute key element in all IUCN decisions,” and recommended development of a Universal Declaration of the Rights of Nature. We partnered with the Earth Law Center, and other members of the Global Alliance for the Rights of Nature while at the IUCN Congress, in part to ask that the IUCN continue to incorporate Rights of Nature in IUCN motions and the 2017-2020 Work Programme. CEJ was advocating for Earth Law and Policy at every opportunity. This IUCN Congress held several sessions dedicated to examining environmental laws worldwide. One in particular, led by the Earth Law Center and co-sponsored by CEJ, Earth-Centered Law and Regulation for Safeguarding Nature, explored the latest developments in the Rights of Nature and Earth Jurisprudence movement, examined our responsibilities towards nature, and discussed reparations for ecological damage. Participants, including some of the world’s top environmental legal minds, developed from the Workshop a list of actions and best practices to move Earth-centered law and policy forward. Another, Environmental Rule of Law: Rights-Based Approaches, Sustainable Development, and the Way Forward, led by the Environmental Law Institute, raised awareness on the status of environmental rule of law, and explored opportunities to advance concrete measures for achieving environmental rule of law. Emphasizing that environmental rule of law prioritizes environmental sustainability by connecting it with fundamental rights and obligations, the session evaluated the World Declaration of the Environmental Rule of Law, which, notably states that “All life has the inherent right to exist.” CEJ was in attendance for this session, and many of the World Commission on Environmental Law sessions, networking and learning from environmental law leaders from around the world. Our current laws embody a flawed and misguided anthropocentric worldview. Our laws now place humanity apart from and ahead of nature, rather than as an integral part of the greater whole. Earth Jurisprudence principles would balance human interests with the rights of ecosystems to exist, continue, and regenerate, and with the rights of current and future generations to live on a healthy, thriving planet. So, what happened? IUCN adopted Earth Jurisprudence principles into two motions & the 2017-2020 Work Programme! IUCN recognized Earth Jurisprudence principles, and especially the inherent rights of nature, in two approved motions and in its 2017-20 Work Programme. The two motions, Crimes against the Environment and Humanity's Right to a Healthy Environment, both recall Resolution 100 as a basis for passage, citing to Res. 100's language that incorporation of the Rights of Nature shall be an "organizational focal point in IUCN's decision making," and "calls for consideration of the Rights of Nature as a 'fundamental and absolute key element" in all areas of IUCN intervention and decision making.'" These motions recognize many Earth Jurisprudence principles, including the dependence of people on a healthy planet, the ecological crisis we face today, the duty of care we have to the natural entities that sustain life on Earth, our responsibility to future generations, and the inherent value and rights of nature. Valuing and conserving nature -enhances IUCN’s heartland work on biodiversity conservation, emphasizing both tangible and intangible values of nature. Effective and equitable governance of nature’s use -consolidates IUCN’s work on people-nature relations, rights and responsibilities, and the political economy of nature. Deploying nature-based solutions to global challenges -expands IUCN’s work on nature’s contribution to tackling problems of sustainable development, particularly in climate change, food security and social and economic development. The 2017-20 Work Programme now states, in part : "IUCN ... aims to secure the rights of nature and the vulnerable parts of society through strengthening governance and the rights-based approach to conservation. " This timely adoption of rights of nature into the IUCN Work Programme came only weeks after the United Nations Harmony with Nature Initiative released its report calling for, in part, the "support for implementation of the IUCN resolution (WCC-2012-Res-100, September 2012) calling for the incorporation of the rights of Nature concepts into law and science." This is a promising step forward for Earth Jurisprudence, and one we look forward to seeing evolve and grow over time! Photo taken at booth at the IUCN Congress in Hawaii. What's going on with solar in Florida? What's going on with solar energy policy in Florida? First, what is solar energy? Solar energy is considered one of the cleanest and most abundant forms of energy available. 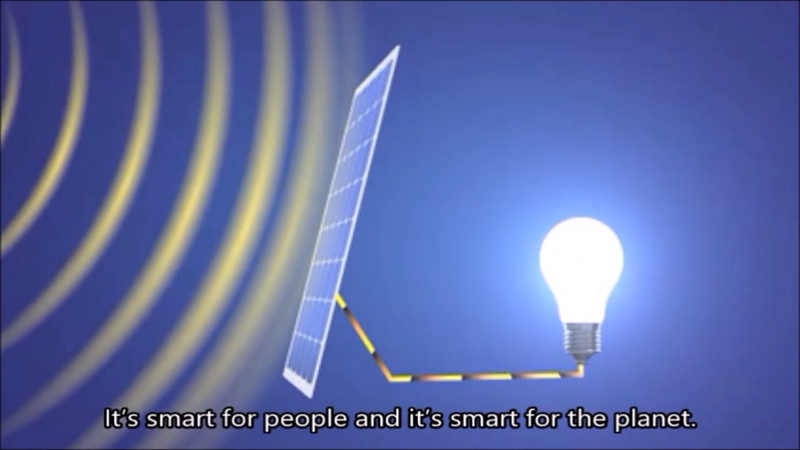 Solar technology directly converts sunlight to electricity. Solar energy is plentiful, clean, reliable and efficient. CEJ cares about solar policy because it is smart for the State, smart for the planet, smart for the economy and one step closer to addressing, through policy, how people live responsibly on Earth. Florida ranks third in the nation for rooftop solar potential, but all the way down at 14th for actual solar installed. Tapping into that potential would great, but there are some boundaries that solar has to get through to flourish in The Sunshine State. There will be two very different solar amendments on the ballot this year, one in August and one in November. The first is Amendment 4, which we will see on the August primary ballot. This amendment will address one of the barriers facing solar growth. This could encourage the development of solar business in Florida, encourage the use and installation of solar energy devices, create jobs, and bring diversity to the State’s energy grid—it’s good for business and it's good for homeowners, it’s good for the economic climate-- and well, for our actual climate. Overall, this is a smart step in renewable energy policy in Florida. Floridians will see another solar related amendment on the November ballot. The “Rights of Electricity Consumers Regarding Solar Energy Choice,” or Amendment 1. This amendment is much different. What does it do? It's constitutionalizing the "status quo," --the current status of solar energy policy. More notably, Amendment 1 constitutionalizes the right for State and local governments to regulate solar power, as they do now. The Utility backed proposal does not immediately expand consumer choice, or create a competitive marketplace. In a footnote, she further expressed that “[d]ue to the use and definitions of certain terms within the proposed amendment, it may actually have the effect of diminishing some rights of solar energy consumers." There you have it—this is what’s going on with the two solar amendments in Florida in 2016. For more information on solar energy, the amendments, the full Florida Supreme Court Opinion, and op-eds, please see the links below.